Built with Drupal 7 this portfolio site for Lucky Fingers is my first with the new Admin theme. 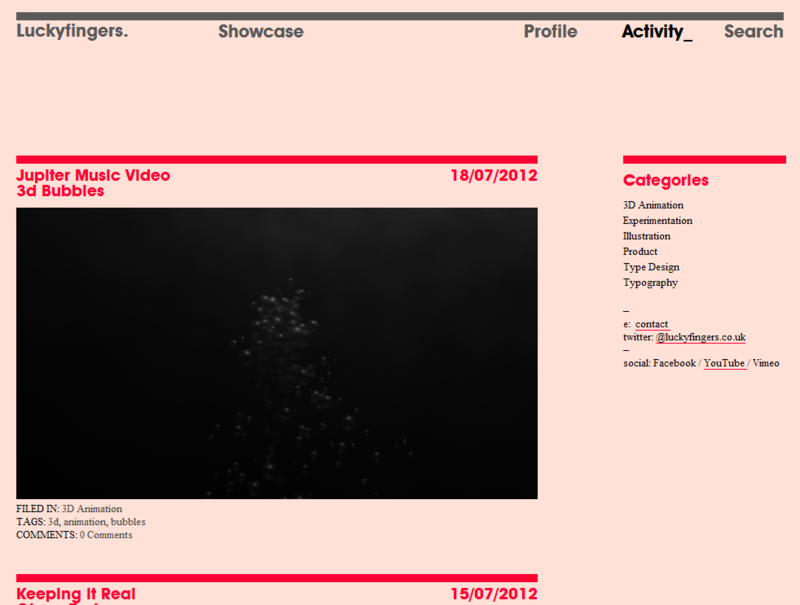 The home page has the jQuery camera plug-in with a bit of extra code to make it full screen. I used the new Drupal 7 Fields (CCK) to make a tick-box called Featured that can be turned on or off on each project by the client. I then used views to create a list of projects that only have this Featured ticked and only included project main images then turned it into a block. I formatted this list of images with a ".tpl.php" so it was a data list then targeted the list with the jQuery Camera plug-in. This means the client can choose the projects on the home page with the tick of a box. 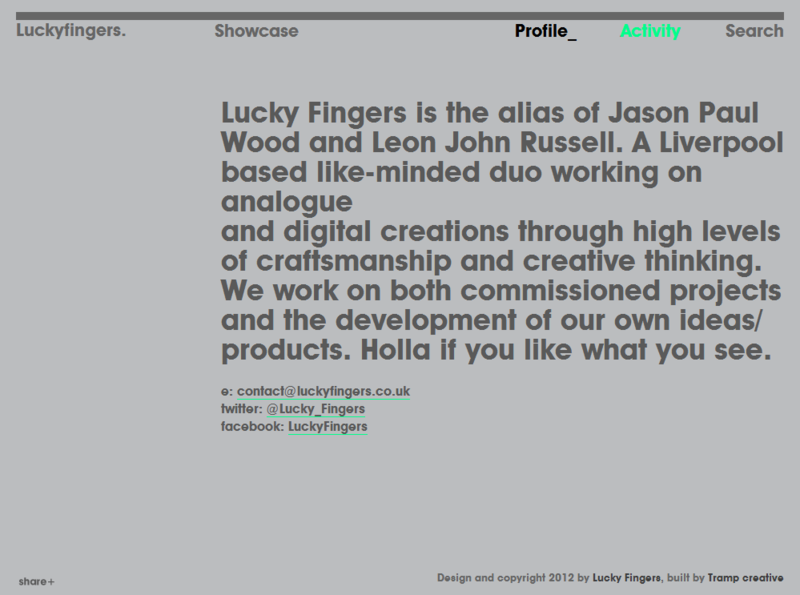 Lucky Fingers is the alias of Jason Paul Wood and Leon John Russell. A Liverpool based like-minded duo working on analogue and digital creations through high levels of craftsmanship and creative thinking. We work on both commissioned projects and the development of our own ideas/products.